Muammar Gaddafi’s forces have recaptured the important coastal towns and Zawiyah Misrata from insurgents, according to state television in the country. Government forces have said the messages also recaptured the oil city of Ras Lanuf, and was in the morning on the way to the country’s second largest city, Benghazi. The messages are not confirmed from other sources. 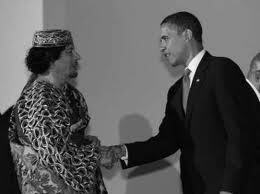 Benghazi has been the center of the insurgency against Muammar Gaddafi’s 41 year old regime in the past two weeks. Eyewitnesses reported the heavy shooting in the city of Tripoli on Sunday morning, but it was unclear who was behind the shooting. 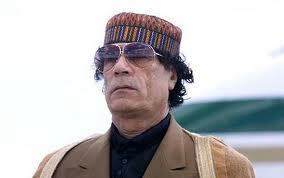 At the same time drove Gaddafi supporters around honking cars in the Libyan capital. 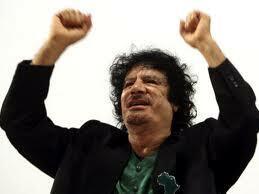 “I can assure you that there is no ongoing fighting in Tripoli,” said a spokesman for Gaddafi’s regime. 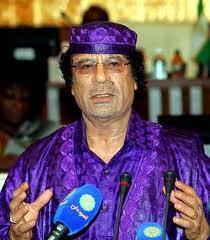 Gaddafi himself asks in an interview the UN or the African Union investigate the riots in the country. 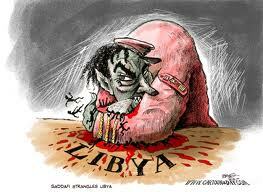 “I want a commission of inquiry from the UN or the African Union come to Libya. They should be allowed to work freely without our intervention,” the Libyan leader said, in an interview with French magazine Le Journal du Dimanche. Gaddafi, who has ruled the country since 1969, can not understand why the outside world not watching the events in Libya with the same eyes that he himself, and he calls for Western support instead of condemnation. “I am surprised that no one understands that this is a fight against terrorism,” he said in the interview. “Security Services our work. We have helped you a lot in recent years. So why do we get no help back, now when we fight terrorism in Libya,” he said. London newspaper The Sunday Times writes that the rebels in Libya has taken a group of British commandos captured. The eight soldiers belonging to the British SAS and special forces escorting a British diplomat when they were captured. The Diplomat was sent to eastern Libya to meet the rebels, but something went wrong. Libyan sources said told the newspaper that the eight soldiers were taken to the rebel-controlled city of Benghazi for questioning. The British soldiers’ presence must have upset leading Libyan dissidents, who ordered them locked up in a military camp. 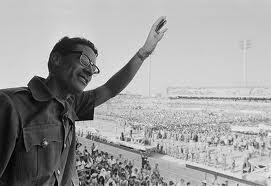 The rebels fear that Libya’s longtime leader Muammar Gaddafi will use the soldiers’ presence as evidence of a Western intervention in the country and use this to gather support among the people. The soldiers escorted the British diplomat, should have been sent to the area to facilitate a more high-level visits as part of Britain’s plan to give the rebels diplomatic recognition. In Tripoli, residents woke up to the deafening gunshots Sunday morning. The authorities denied that there was fighting in the city, however, was shot volleys meant as celebration. 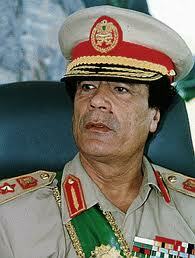 Gaddafi’s forces had retaken several towns rebellion, was notification. “I assure you, I assure you. There is no fighting in Tripoli. Everything is safe. Tripoli is 100% under control. What you hear is fireworks. People dancing in the streets, dancing in the square,” said government spokesman Ibrahim Mussa told Reuters. At the same time says a rebel leader told Reuters that more rebels are on the way to Gaddafi’s hometown of Sirte, about 500 kilometers from Tripoli. He said fighter jets have launched attacks on rebels. The major fighting took place Saturday in Zawiyah, where it is reported that at least 30 people were killed. Fighting in the city was intense, “says a contact in the British newspaper the Observer. “You must tell the world what is happening. Sniper shoots at anything that moves, “a doctor said to Washington Post calling the attack a massacre. “They shoot civilians. They attack us from all sides,” he said.